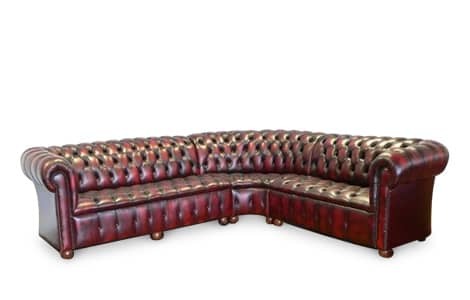 The leather Chesterfield Corner Sofa is a modern day classic. 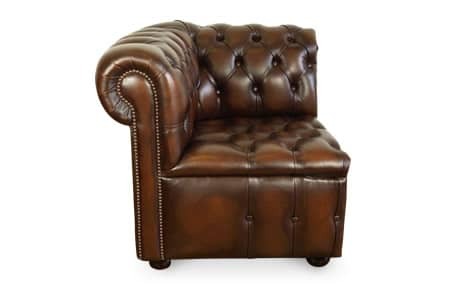 Manufactured to an incredibly high standard and using only the finest materials, this traditional leather sofa comes with deep buttoning and is finished on wooden feet. 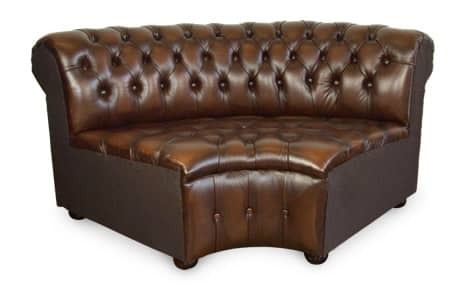 Available in our extensive range of colours, we also offer this with either seat cushions or buttoned seat detailing, and in various sizes. Please note all corner suites comprise of three sections. Start at the left and add each item to your basket in turn. 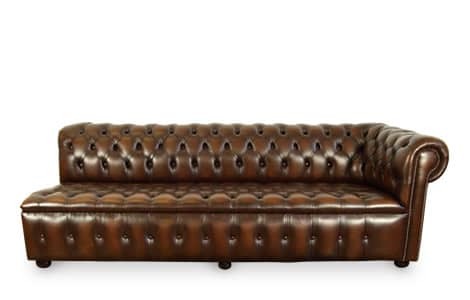 For example, to create the product image you would add 1 x 3 Seat Sofa Section, 1 x Corner Section and 1 x 2 Seat Sofa Section. 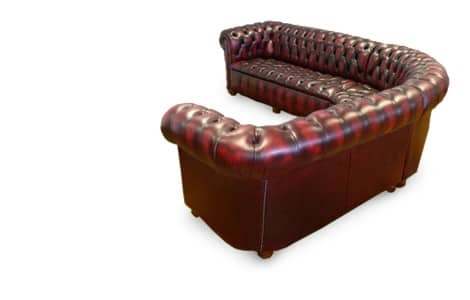 Please feel free to call the team to discuss the overall configuration and also bespoke options if the exact size you require is not standard.